Our Group at the Top of Goat Hill! 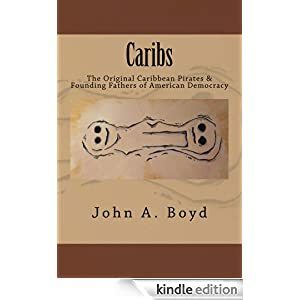 This blog is devoted to the geology, climate, plant life and history associated with the various hiking trails of St. Croix in the US Virgin Islands. When I walk, I like to know as much as possible about nature along the trails I am walking and I love to share that information with everybody. I give guided tours as we hike the trails in those areas I know the best. Where I don’t know about the history or botany of an area, I do not feel comfortable leading a group in that area although I do post the pictures from all my exploratory walks in every area on my Facebook page. I love the dry east end of the island because the history of subsistence farming by both Neo Indians and Europeans is not well understood. 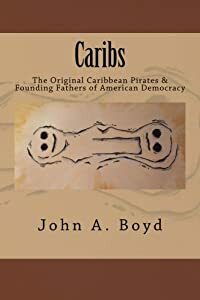 The limiting factor for both groups was water, yet settlers from both groups occupied the dry east end and tried to make a go of it with the Indians succeeding for 1500 years and the Europeans only having intermittent success. To present all this information, I have drawn upon field work in Geology, Archeology, Botany, History and Culture. For the most part, all of this information has been written from European documents and perspectives so errors are inevitable. If you find any which are either errors in fact or errors in interpretation, please open a discussion in the comment section and I will double-check my facts or perspective if rational thought dictates either. And trust me I do make mistakes so I look forward to your inputs. Most (but not all) of these trails are well-marked and you don’t really need a guided tour if all you are looking to do is go for a stroll in the park and you have no interest to learn about what you are looking at. If you study this website and have a good memory, you will get a good idea of what you are looking at and could do it on your own. 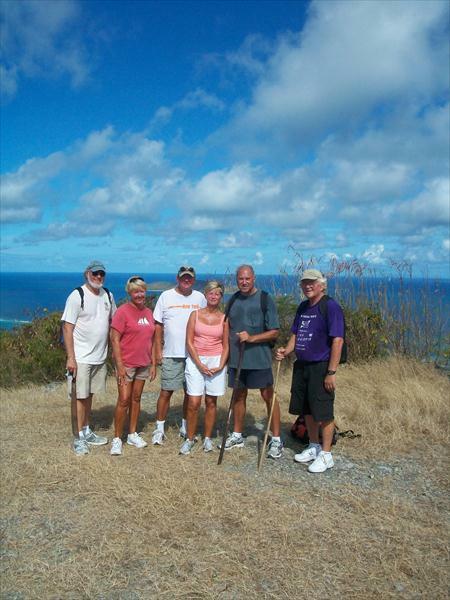 However, if you really want to make the earth come alive, then Hike St. Croix with Poppa John. Welcome to paradise even if it is only a vicarious cyber visit. my wife and three friends took your tour last week and they raved about your knowledge and expertise. Thany you for showing them a good time and educating them at the same time. I had a good time so I am glad that everyone else did too. It was fun with lots of questions. Made it easy for me to seem smart because I couldn’t get them all wrong. The second luckiest man in the world. Hello! 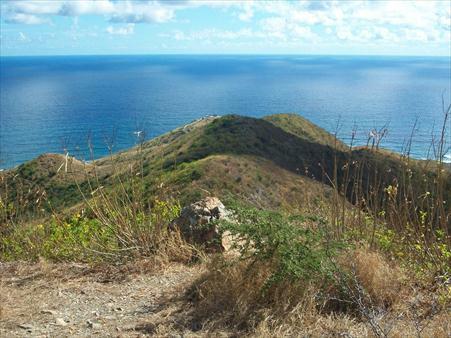 My wife and I are going to be honeymooning in St. Croix this December 26-January 2 and would love to do the goat hills hike; how do we go about booking? Thanks! Hey there, just have to say that this is one of the best sites for hiking and exploring anywhere, best part is that it’s here:) My wife and I have done the hike out to jacks and isaacs and have seen you at cramers, every time we’re here I learn more and am further and further intrigued. Thanks so much for al the info and experience you impart to those who find you here. One question regarding the lighthouse hike, do you actually park in the nat. guard lot, or is it allowed to park outside their gates? Would it be easier to access from the beast, with a jeep? Thanks again, I pray for incredible longevity for you, selfishly, because I hope to be reading your writings and learning through the example you set here. Hi Taylor, sorry about the slow response but I was on vacation and didn’t have an answer to part of your comment and careful research yields a definite maybe. The easy part is about parking. You park outside the National Guard Headquarters so go up to the gate turn around as if leaving and then park any where on the left hand side. If there are others up there, you still a lot of parking about 100 yards further down the road. Follow the fence (either way but safer to the right) to the back of the facility. The path to the top is about diagonally opposite where you turned your car around. As to access from Scenic Road West past the crusher, the answer is maybe if you walk but not likely by jeep. Maroonberg was established as a defensive position for runaway slaves. From the lighthouse as you look east, there is a somewhat obvious goat trail leading towards the bluff that sticks out from the coast towards the north. As you look down on this bluff, if you have sharp eyes, you will see a leanto and a garden area so someone is living on that point and the goats have a trail. Many of us accept that there is probably a path from West Scenic Road down to that same bluff which is now to your west. The guy who lives there is seen in town with a bicycle that he stashes somewhere. However, people in this area want their privacy and you will see some very unwelcoming signs on gates along West Scenic Road. Unless I was specifically invited, prepared to walk along a cliff edge, and with someone already familiar with this area, I probably wouldn’t do it and certainly would not want to be responsible for taking others into harms way. I reached out last week and you directed me to this site-Thanks it’s a great resource. As I mentioned my wife and I will be down from the 22nd-30th as we are considering a full time move to STX. Hi Emory in this forum, I can state my email as hikestcroix AT gmail.com Your email has been redacted by Airbnb so I still do not have it.